Thank you for your interest in this workshop. Registration is now closed, as we have reached capacity. 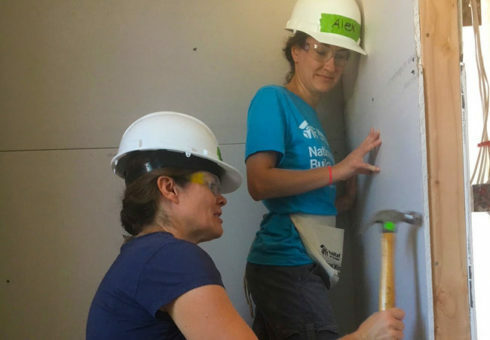 In conjunction with Habitat Connects, Women Build is coordinating a series of hands-on workshops to help women develop basic home-repair skills. On April 17, the topic is drywall. Learn about different types of drywall, how to install it, how to patch both large and small holes, and pro tips/techniques. The hands-on portion will consist of how to tape and mud a seam, patch a hole, countersinking screws, and sanding. Space is limited for this no-cost workshop, and RSVPs are required. Photo courtesy of Wheat Design Group.